I decided to celebrate my twelve year Twitter anniversary by taking a long walk and recording some audio. 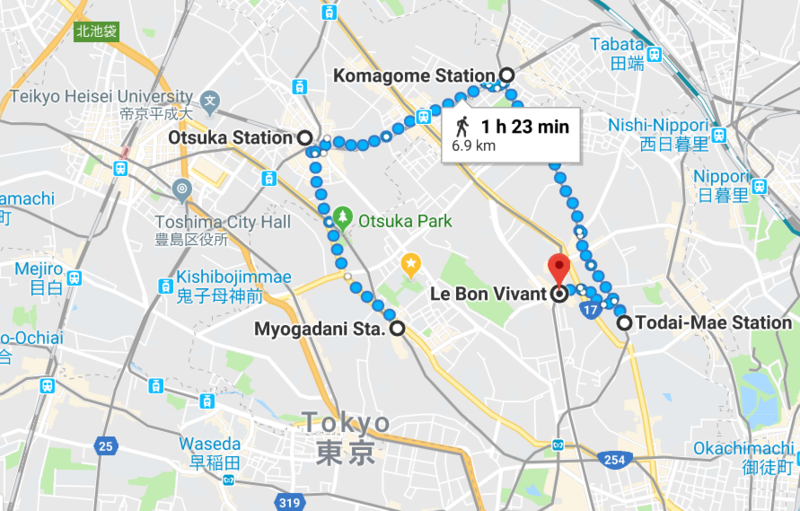 The 6 KM trip from Myogadani station to the Le Bon Vivant cake shop in Hakusan should have taken about 90 minutes according to Google Maps. The walk itself took about two hours. And six hours after commencing the journey, I’m thrilled to have a 48 minute piece of audio to share. 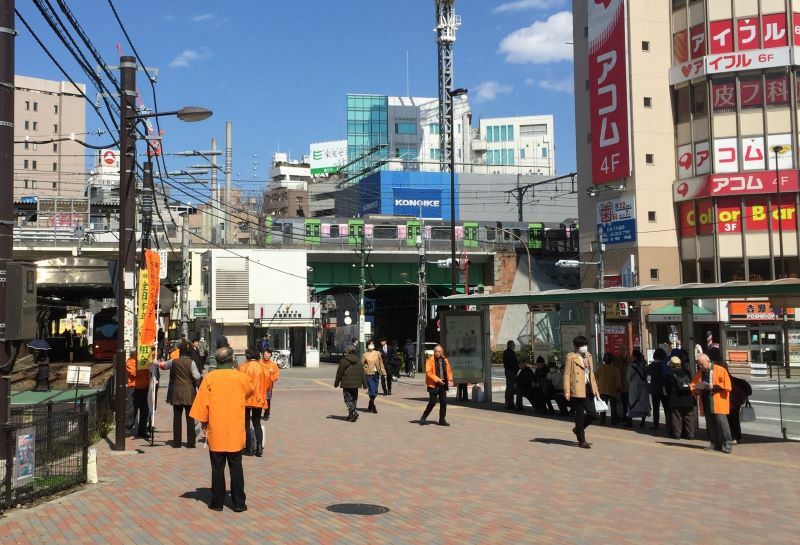 On the way to Sugamo station, which doesn’t appear as a point on the route above, I decided to mix up the sequence of presenting the recordings. 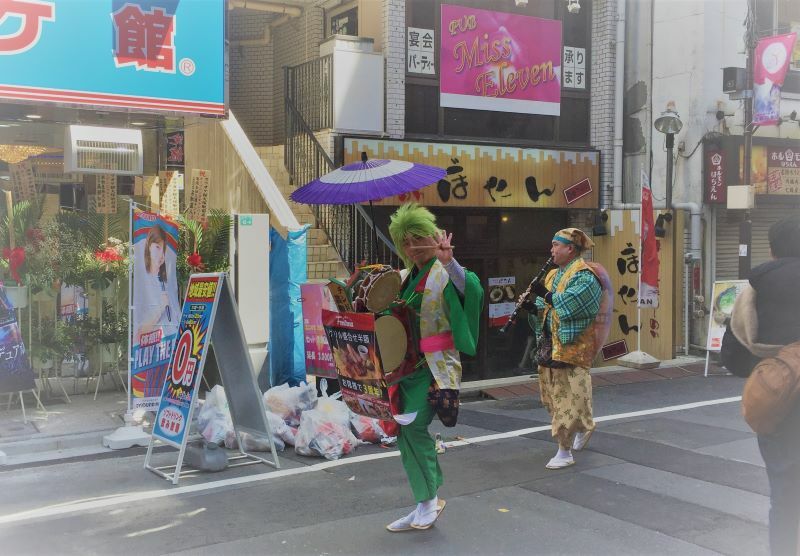 The combination of being confronted by unexpected memories and the encounter with the chindonya street performers in Otsuka was unsettling and I felt the need to provide a bit of explanation while walking down the narrow road to Sugamo. 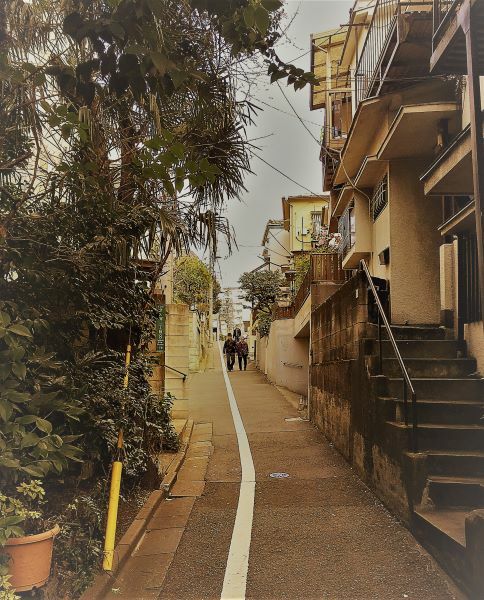 As this tokyo moments project is just an experimental exploration and not a podcast, I don’t feel there is much point writing much here. The audio should speak for itself. The captions for the audio below will indicate where along the journey they occured. As you will hear, I missed a turn and got lost near the end of the recording. Were it not for that, I’d never of had the good luck of seeing the below statue. 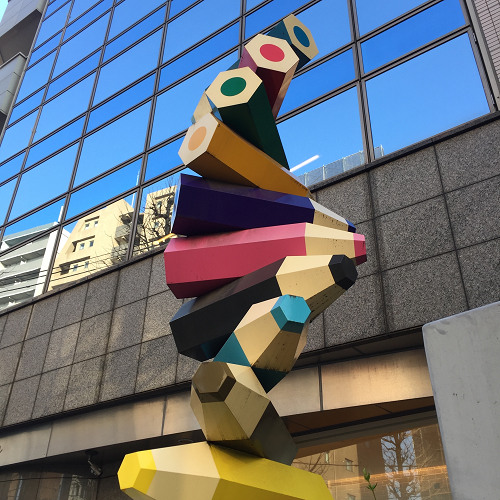 Thanks for letting me share these several moments that made for an interesting way to spend a few lonely hours in Tokyo. 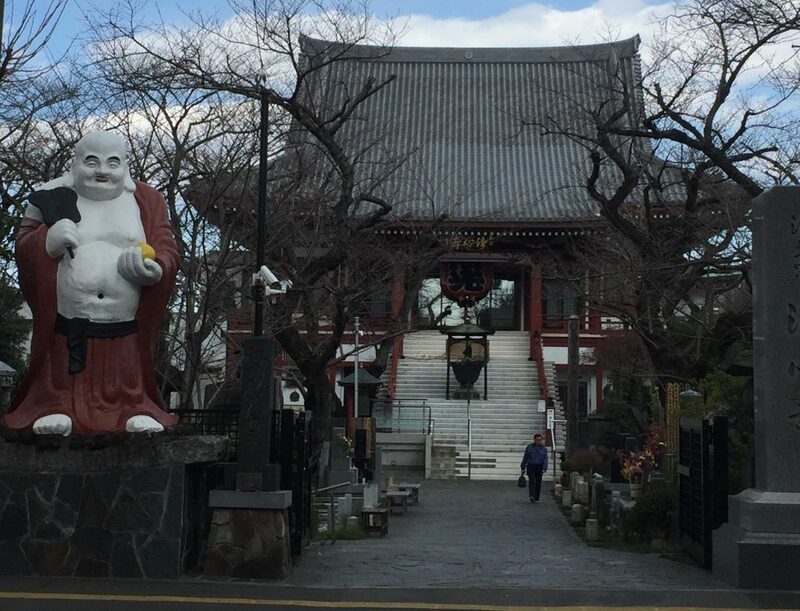 This entry was posted in audio and tagged chindonya, hitotoki, tokyo, tokyo moments on March 14, 2019 by admin. 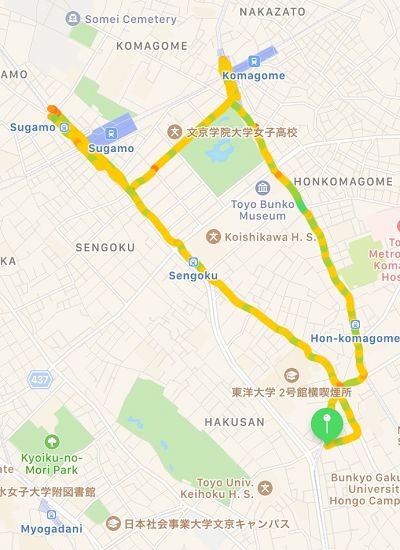 It was during the morning walk highlighted on the map above that the structure of this audio recording began to take shape. 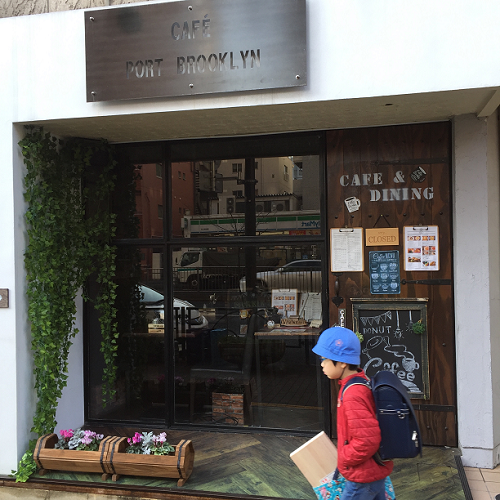 Several ideas have been swirling around since returning to Tokyo for a two week visit a few days back. Said anohter way, I’ve just now begun to make sense of some important things that should have been recognized a long time ago. This recording is the introduction to what will be a two-week project called scottlo’s 2019 tokyo moments. 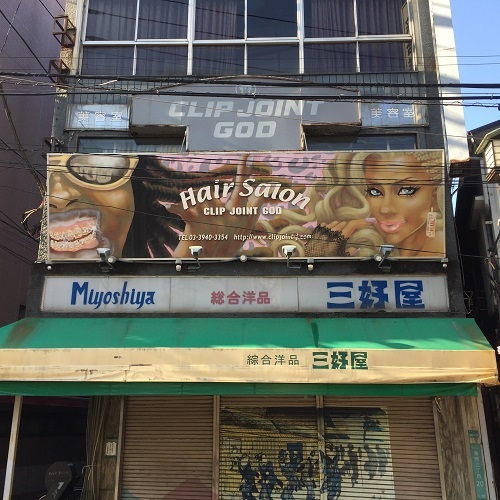 Encountering curious bits of sculpture, cozy cafes, a chartreuse Prius in Sugamo, and some startling signage along the way, I found myself overcome with an unexpected emotion. 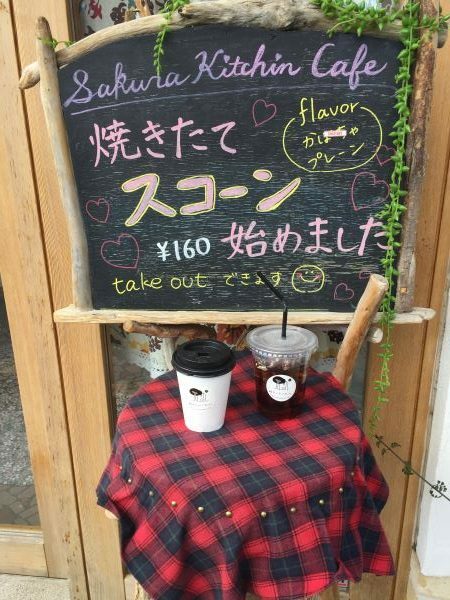 So much so that I silently declared: I love you Tokyo to myself. One can never really anticipate when a random moment can have a profound effect. Nor can one be expected to always understand what is happening in such a moment. But if one is fortunate, there might be an opportunity to reflect and recognize that something noteworthy is happening. A happy hour’s command, to steal a phrase from Whitman that has always appealed to me, led me to take another walk at noon time. 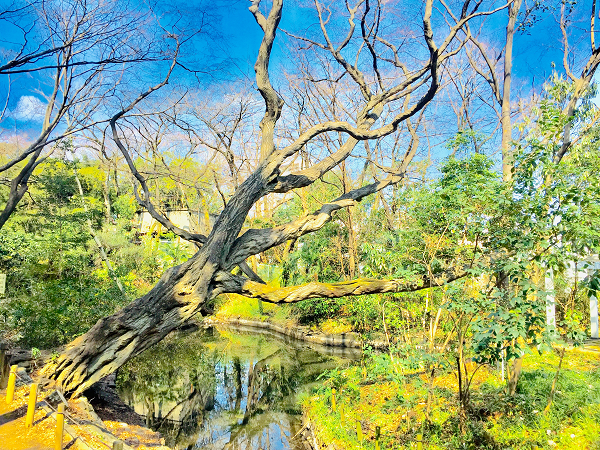 Recordings were made at the other two green spaces in the lower left side of the map: the Koshikawa Botanical Garden and my old pondside recording studio in a section of Kyoiku No Mori park called Senshunen ( as seen in the software-filtered photo of the hand-like tree stretching over the brackish pond below ). So it looks like I’ve got a bit of heavy lifting to do. As mentioned while sitting pondside, this recording is a very rough draft. I have a crystal clear sense of the message I want to convey. Unfortunately, I still lack the fluency and courage to find the words to express it. 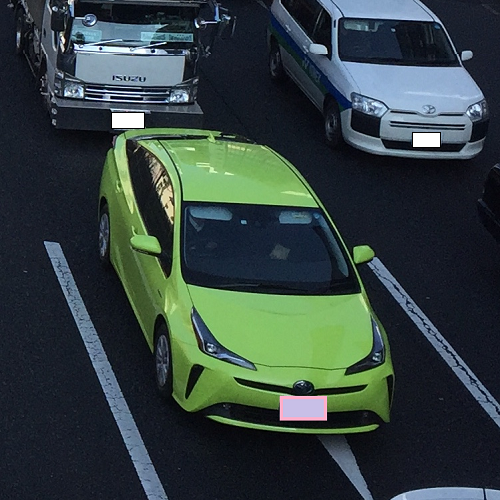 At least there are two more weeks of scottlo’s 2019 tokyo moments to try to pull that off. 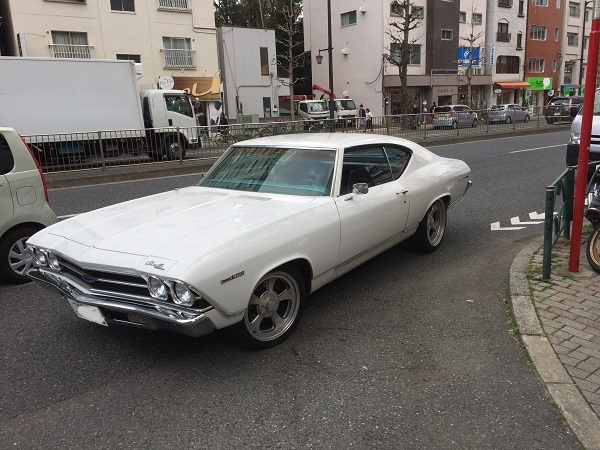 This entry was posted in audio and tagged hitotoki, tokyo, tokyo moments on March 5, 2019 by admin.